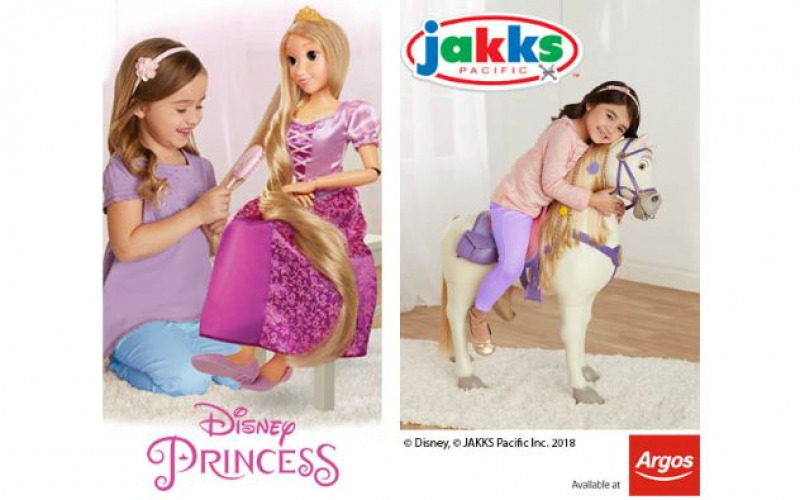 Each winner will receive a Disney Princess Playdate Rapunzel and Playdate Maximus from Jakks Pacific, which will provide hours of fun-filled adventures for little Princesses. Playdate Rapunzel has long, blonde locks inspired by the well-loved Disney movie Tangled. She’s 32” tall, and fully articulated, making her a brilliant playdate companion for children aged three and over. Of course, Rapunzel would be lost without her trusty horse Maximus. Playdate Maximus is the ultimate companion for budding Rapunzels! Not only can children decorate his beautiful mane with the wear and share accessories included, they can also listen to him ‘chomp’ on his apple and hear him respond with real horse sounds when his reins are gently pulled. He is also tall enough for Rapunzel and children aged three and above to sit on, so they can even recreate their very own Rapunzel adventures!